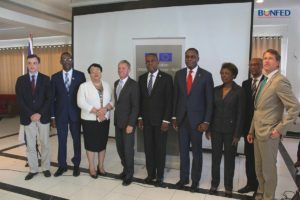 The Prime Minister, Jean Henri Céant, and the EU Ambassador, Vincent Degert, officially launched the Food Security and Nutrition Programme (SAN) under the 11th EDF. 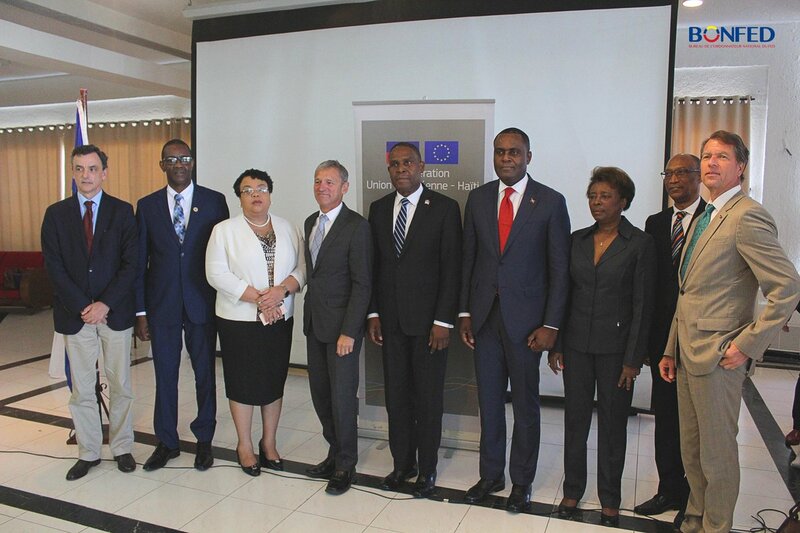 This includes the Multisectoral Food Security and Nutrition Programme and the Pro-Resilience Programme, with funding of 40 million and 10 million Euro respectively in the context of the 11th European Development Fund and the special solidarity action following Hurricane Matthew. Aimed at the North-West, Haut Artibonite and Grande-Anse regions, the SAN programme aims to sustainably improve the food security and nutrition of the most vulnerable populations while also developing their resilience and their capacity to resist and overcome shocks and crises. Speaking at the start of the ceremony, Prime Minister Jean Henri Céant said: “I would like to repeat once again the Republic’s commitment to enabling all its citizens to be able to satisfy their hunger. In 2015, the United Nations agreed to end poverty in all its forms everywhere by 2030. Our country is home to many resources and has great potential, and our citizens must develop these resources to achieve this objective. Indicators of food insecurity and malnutrition highlight a worrying situation. The successive shocks we have suffered make the task all the more complex. The government is aware of the enormous challenge it is facing to end hunger, achieve food security and improved nutrition, and promote sustainable agriculture. We will be able to do this with cooperation and continuity in the State’s actions. Food insecurity in Haiti affects around 30 percent of the rural population, and this is both a current and future tragedy. 275,000 children, or 22 percent of all under-fives, are suffering from chronic malnutrition, resulting in stunted growth and serious consequences for the country’s sustainable development once they reach adulthood. The Food Security and Nutrition Programme is based on a multisectoral approach that includes: local production to ensure greater availability of food, a focus on the nutritional content and quality of that food, and improvements in the availability of food and people’s stable access to it via appropriate social policies. 2. Ensure that all are stakeholders in a common policy and are acting in a coherent and coordinated manner; in fact, the success of the SAN will depend largely on each actor’s capacity to work in synergy through a bottom-up approach in which each will contribute to the design, planning and implementation of programmes; the key words are participation, ownership and accountability. The Food Security and Nutrition Programme will thus contribute to achieving Goal No. 2 of the UN Sustainable Development Goals: Zero Hunger.